We hold meetings every other month to discuss ideas for events and works to be done on the hill and to pass on any news or information. Although we have an agenda and our Chair tries to keep some sort of order the meetings are very informal and light hearted. We would be very pleased to see anyone who has an interest in the hill, its history or its wildlife. The descriptions show the main items discussed but other subjects such as work needed on the hill also come up at most meetings and are covered in the minutes. Committee Changes; Troopers Hill issues and news; Conservation work on Troopers Hill; Work parties and other works; Projects (CIL allocated for paths, way-marking complete); Troopers Hill Field; St George Strollers; Events; Networking; Future Proof Parks. Committee Changes; Heritage Lottery Fund award of £44,800 for Ways to Nature; RHS It's Your Neighbourhood assessment; Other Troopers Hill Issues & News; Work parties and other works; Natural Learners; Other Projects; Troopers Hill Field; Events; Networking. Troopers Hill Issues & News; Work parties and other works; Projects; Troopers Hill Field; Events; Parks consultation; Networking; GDPR; Street Goat. AGM - The Friends of Troopers Hill chair & committee were re-elected to serve for another year. Other items: Hill maintenance; Work parties and other works; Flag; Ways to Nature; Defibrillator; Student projects; Woodland; Troopers Hill Field; Events; Parks Consultation. Short meeting followed by a picnic on the Hill. Natural Learners; Hill maintenance; Work parties and other works; Projects - Ways to Nature; Troopers Hill Field; Events; Impact of Council Cuts; It's Your Neighbourhood - Outstanding. Hill maintenance; Work parties and other works; ParkWork; Projects - Ways to Nature; Troopers Hill Field; Events; Impact of Council Cuts; Networking; St George Community Network; Awards; Facebook/Twitter; Newsletter. AGM & Committee membership; Toddler group and after school club on Troopers Hill; Hill maintenance; Work parties and other works; Troopers Hill Field; Events; Impact of Council Cuts; Networking; Website, Newsletter. AGM & Review of 2016, at Summerhill Methodist Church. Chair - Susan; Treasurer - Norman; Secretary - Margaret; other committee members: Rob & Rod. Hill maintenance; Work parties and other works; Troopers Hill Field; Events; Impact of Council Cuts; Networking; awards; Facebook, Newsletter. Hill maintenance; Troopers Hill Field; Work parties and other works; Events; Networking; awards; Facebook, Newsletter. Hill maintenance; Troopers Hill Field; Work parties and other works; Events; Stargazing; Networking; awards; Facebook, Newsletter. EGM, Hill maintenance; Troopers Hill Field; Work parties and other works; Dark Sky designatiion; Events; LNR grant; awards; Facebook, Newsletter. The EGM agreed some minor changes to our constitution to meet the requirements of a grant funder. The changes are shown in red on Rev F of our constitution. Chair - Susan; Treasurer - Norman; Secretary - Margaret; other committee members: Rob, Chris & Rod. Hill maintenance; Troopers Hill Field; Work parties and other works; Events; Events for 2016; LNR 20 years Celebration; assessments for awards; Facebook, Newsletter. Hill maintenance; Community payback; Troopers Hill Field Play Area; Work parties and other works; Events; Future Events; LNR 20 years Celebration; assessments for awards; Facebook, Newsletter. Hill maintenance; Troopers Hill Field Play Area; Donation from Beeses and proposed works; St George Green Capital Art Project; Work Parties; Recent Events; Future Events; LNR 20 years Celebration; Parkhive App; Assessments for awards; Facebook, Twitter & website update; Newsletter. Hill maintenance; Troopers Hill Field Play Area; Work Parties; Recent Events; Future Events; LNR Celebration; Facebook, Twitter & website update; Newsletter. Hill maintenance; Troopers Hill Field Play Area; Work Parties; St George Strollers; Events; Networking; Facebook, Twitter & website update; Newsletter. Hill maintenance; Troopers Hill Field; Work Parties; St George Strollers; Events; Events for 2015; Networking; Facebook, Twitter & website update; Newsletter. Chair - Susan; Treasurer - Norman; Secretary - Helen; other committee members: Rob, Kit, Margaret & Clare. Hill maintenance; Troopers Hill Field; Work Parties; St George Strollers; Events; Events for 2015; NP Green Capital Grant; Green Flag & RHS Awards; Facebook, Twitter & website update; Newsletter. During this meeting we made a presentation to Julian Thomas who is leaving Bristol City Council Parks at the end of the month. 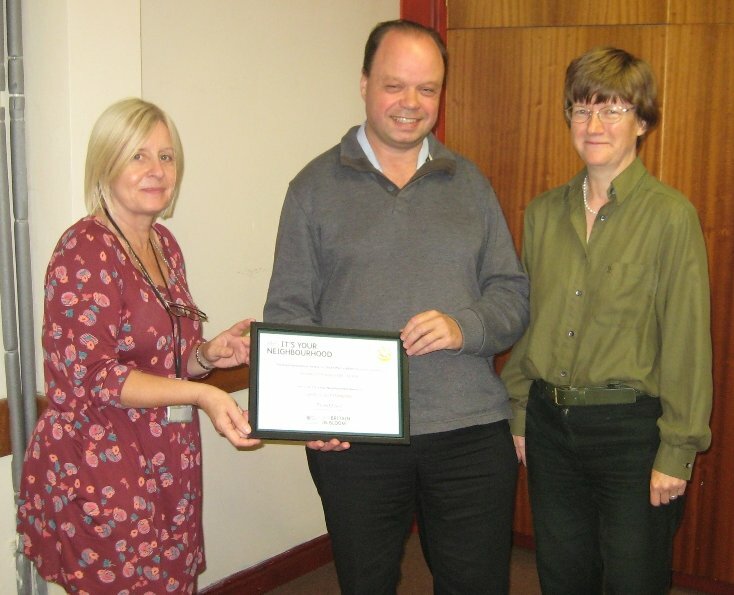 Jules has been our Community Park Keeper since 2006 and has regularly attended our meetings. He has worked hard to ensure that Troopers Hill always looked good and and to help preserve its unique ecology. Jules played a major part in the success of Friends of Troopers Hill over that time - Thanks Jules. Other issues covered: Hill maintenance; Troopers Hill Field; Work Parties; St George Strollers; Events; Planning Meeting; Green Capital Funds; Facebook, Twitter & website update; Newsletter. Hill maintenance; Dog Fouling; RHS judging; Fun Trail markers; Hedge Cutting; Troopers Hill Field; Work Parties; St George Strollers; Events; Green Capital Funds; Donations; Facebook, Twitter & website update; Newsletter. Hill maintenance; BBQs; Dog Fouling; Green Flag; Troopers Hill Field; Works to the upper chimney; Work Parties; St George Strollers; Events; Donation from Beese's; Networking; Facebook, Twitter & website update; Newsletter. RIP Justin Smith; Hill maintenance; Dangerous dogs and dog fouling; Troopers Hill Field; Works to the upper chimney; Work Parties; St George Strollers; Events; Facebook, Twitter & website update; Networking; Newsletter. Hill maintenance; Dog Fouling; Troopers Hill Field; Work Parties; St George Strollers; Events; St George in Bloom; Green Capital Partnership; Facebook, Twitter & website update; Spring Newsletter. AGM & Review of 2013 and the first 10 years of Friends of Troopers Hill, at Summerhill Methodist Church. Last year's committee was re-elected for another 12 months. Hill maintenance; Troopers Hill Field; The Chimneys; Contacts with the Press; It's Your Neighbourhood; Work Parties; St George Strollers; Events; Events for 2014; More material from Mr George Elliott; Facebook, Twitter & website update; Christmas Newsletter. Hill maintenance; Troopers Hill Field; The Chimneys; Stepping Forward 2013; It's Your Neighbourhood; Green Flag; Work Parties; Volunteering; St George Strollers; Events; Donation of Historical Research; Facebook & website update; Twitter; Newsletter. Hill maintenance; Troopers Hill Field; The Chimneys; Green Dog Walkers Scheme; Stepping Forward 2013; It's Your Neighbourhood; Work Parties; Volunteering; St George Strollers; Events; Donation of Historical Research; Facebook & website update; Twitter; Newsletter. Hill maintenance; Troopers Hill Field; Top Chimney; Lower Stack; Stepping Forward 2013; St George NP; Work Parties; Corporate Volunteering; St George Strollers; Events; Green Flag; Historic Documents; Facebook & website update; Twitter; Newsletter. Hill maintenance; Troopers Hill Field path; Stepping Forward 2013; 10th Anniversary; Work Parties; St George Strollers; Events; Facebook & website update; Twitter; Newsletter. Hill maintenance; Stepping Forward 2013; Work Parties; Advertising for volunteers; Green Flag; It's Your Neighbourhood; St George Strollers; Events; Bristol99; Facebook & website update; Twitter; Newsletter. AGM & Review of 2012, at Summerhill Methodist Church. Last year's committee was re-elected for another 12 months. Hill maintenance; Greendown hedge maintenance; Stepping Forward progress; Other Funding Opotunities; Work Parties; Green Flag; It's Your Neighbourhood; St George Strollers; Events; Facebook & website update; Newsletter; Email address list. Planting at Greendown; Litter bin; Mine Shaft; Troopers Hill Rd; AGSP response; Work Parties; Events; Meeting Venue; Stepping Forward; Community Fair. New APM; Planting at Greendown; Stepping Forward; Litter bin; Mine Shaft; Troopers Hill Rd; AGSP response; Work Parties; Events. The main subject of this meeting was the Friends of Troopers Hill response to the Area Green Space Plan Consultation (see www.bristol.gov.uk/agsp). The agreed response can be seen here. Maintenance issues; Mine Shaft; New Litter bin; Work Parties; Events; Area Green Space Plan Consultation; Newsletter. Greendown Works signed off; Soil falling on Troopers Hill Rd; Troopers Hill Field drainage; Winter Works; Bomb Crater subsidence; New Benches installed; Memorial Benches; Dog mess; Events for 2010; Grant Applications; Networking; Newsletter. Greendown Works; New Benches; Soil falling on Troopers Hill Rd; Summerhill Terrace entrance; Events for 2010; Play facilities on Troopers Hill Field; Past Events; Area Green Space Plan; Ben Prater’s Bingo Balls; Friends of Netham Park; Newsletter. The meeting was followed by a chance to see the Wesley Memorial Church with its dressings ready for Christmas. Next year's meetings will be held at Summerhill Methodist Church so we presented a small gift to Graham and Linda to thank them for their hospitality at our meetings since November 2004. Greendown Works; VOSCUR Award; New Benches; Review of Management Plan; Events for 2010; Play Facilities on Troopers Hill Field; Work Parties; Events; Funding; Networking; Newsletter. Greendown Works; New Dog Bin; New Benches; BBC Filming; Trafagar Square; Play Facilities on Troopers Hill Field; Work Parties; Events; Funding;Areas Green space Plan; Newsletter. Greendown Works; New Dog Bin; New Benches; Soil falling on Troopers Hill Rd; Support for Events; Management Plan Updates; Trees near Lamb Inn; Publicity; Troopers Hill Field Consultation; Events. Troopers Hill Field Consultation; Winter Works; Bristol Parks re-organisation; Work Parties; Events; Area Green Space Plan meetings. Steps in woodland; Benches; Greendown Works; Work Parties; AGM; Good Friday; Tai Chi; Bird Boxes with Scouts; Become a charity? Neighbourhood Partnership; Area Green Space Plan; Newsletter. Slide Show Review of 2008; AGM; Video filmed on Troopers Hill. New signs; Winter and other works; Feedback on Dog Show and other events; Feedback from Green Flag Judges; Next year's events; Education Fund; St George Partnership. 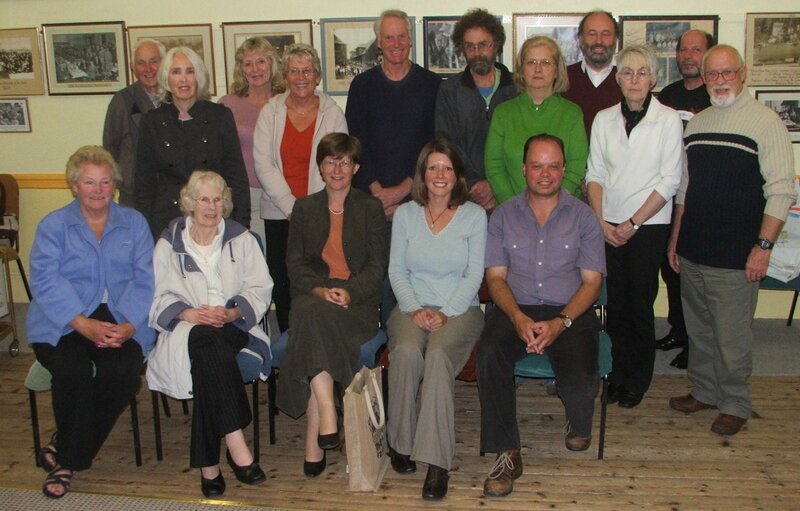 This meeting marked five years of Friends of Troopers Hill - our first litter pick was 4 October 2003. Sadly Sally Oldfield also announced at the meeting that she would be leaving her post as Local Nature Reserves Officer. To mark the five years and as a big thank you to Sally we presented her with a wooden vase and this certificate. The vase was turned by Tom Thomas of Topwood Crafts, Yatton. The photograph shows those at the meeting with Sally. Greendown Entrance; Green Flag; Troopers Hill Field; Work Parties; Events; Newsletter; Networking. Funding; Green Flag; Update on Winter Works; Policing; Work Parties; Events; Newsletter; Networking; Steps from Fir Tree Lane. Update on Parks & Green Spaces Strategy; Funding; Green Flag; Update on winter works; Work parties; Events; Newsletter; Networking. Parks & Green Spaces Strategy; Green Flag; Winter Works; Work Parties; Events; Newsletter; PCT grant; Networking. Review of the Year; Photo Competition; Finance & Constitution; Elections; Events 2008. Proposals for Greendown and Crews Hole/Troopers Hill Rd entrances; Plans for winter works; Events for 2008; St George Neighbourhood Partnership. Plans for winter works; Issues on Troopers Hill - Parks' quick response; Green Flag flagpole; Work Parties; Funding - Big Lottery Fund, Awards for All; Events; Next Year; Parks Forum; ALHA. Issues on Troopers Hill; Green Flag Announcement; Work Parties; Events; Leaflets; Parks & Green Spaces Strategy; Newsletter; Road Safety; Financial Position. Music on the Hill; Green Flag Application; Maintenance and Work Parties; New Leaflet; Events; Newsletter; Bristol Alternative Landmark vote; Feedback from the Forum. Green Flag Application; Hill problems; Work parties; Leaflet Design; Events; Newsletter; Forum; Networking; Updates. Green Flag Update; Works on the Hill; Events; Leaflet Design; Membership; Newsletter; Networking; Bath House; Lamb Inn; Farewell to Jenny & Ben. Green Flag Application; Wheelchair Access Path; Agreement between FoTH and Bristol Parks; Invertebrates Survey; Leaflet Design; Events for 2007; Quiz Night; Work Parties; Change to Constitution; Networking. Slide and video review of the year; Green Flag; Wheelchair access path; Troopers Hill Field; Battle of Royate Hill Video; Funds; Constitution and committee elections. Big Lottery Fund Grant; Wooferz; Welcome to new CPM; Wheelchair path and other issues with Bristol Parks; Troopers Hill Rd; Feedback on events; Plans for 2007; Consultation. Wooferz; Nature in the City; New CPM; New benches; Wheelchair path and other issues with Bristol Parks; Troopers Hill Rd; Increased evening activity; Feedback on events; Plans for kite flying event. Hill security; Dog care service; Wheelchair path; Contractor's work programme; Feedback on events; Bench replacement; Plans for forthcoming events; BBC Breathing Places Lottery Funding; Somerfield staff donation. Feedback on events and bench installation; Contractor's work programme; YANSEC; Music on the Hill; bench inspection. Feedback on events and bench making; Management Plan Update; YANSEC and Parks matchfunding; Future Events; Living Rivers; Budget - report; Survey results. Feedback on events; future events; YANSEC grant; networking; Nature in the City; BRERC and wildlife surveys; separate budget meeting; praise for Newsletter. Feedback on hedge planting and bird bonanza; events leaflet and future events; contractor's work for 2006; restoring a view; work parties and MOD team building; future of the LNR project; funding and budget for 2006. Welcome to Caroline, Slide show review of the year, Troopers Hill Field, Greendown Hedge, AGM formalities, event planning meeting. Change of CPM, Greendown Fence, Malvern Rd Open Space, AGM plans. Your Space Survey results, School Project video, Graying debate, Records office visit, Management Plan update, Awards for All grant spent. Malvern Road Open Space Survey, School Project Report, Events for 2005, motorbikes. Community Farm update, Malvern Road Open Space questionnaire finalised, visit to John Cornwell, events for 2005, spending last of grant money. St George Community Farm, Malvern Road Open Space questionnaire, ideas for events for 2005, SWEET update. Virginia Spalding, slide show review of the year, Open Space play area, SWEET application, AGM formalities, events for 2005, Lamb Inn. Feedback on Family picnic, bench repairs - money raised, Summerhill Ter gate, proposed signs, views on Malvern Road Open Space, possible SWEET application, proposed LNR visits, Troopers Freestyle, BFN. Work Parties, Joan Day's talk feedback, design of notice boards, work by contractors, 1st Aid training, meeting with the police, proposed BFN, funds, website. New tools with grant money, Action Plan and launch event, dog mess, destroyed bench, July work party, St George Partnership, plans for bugs and beasties event, Japanese Knotweed. Work Party timings, draft Action Plan, 1st Aid training, River Avon Trail, Good news from Awards for All, History Project ideas, review of events, ideas for Wildweek, possible Joan Day talk, badgers. Work Parties, Action Plan update, interpretation boards, dog mess, history meeting report, website, future events. Response to Newsletter, Work Parties, Action Plan draft, Photographic monitoring, Fundraising, plans for history evening, publicity and website, involving schools. Newsletters, work parties, work to be done, 5 yr action plan, other groups, publicity, website, trees in Crews Hole woodland. Constitution approved, fence mending, health & safety, work by City Academy pupils, bank account, work required, invertebrates.